Many women like to put their spare hairband on their wrist and so did Audree Kopp. But, unfortunately, after a surgery on her arm because of three severe bacterial infections, caused by a hair tie, she wants to tell other women to be cautious! The bacteria have passed from the glittery hairband to a tiny cut on her wrist! 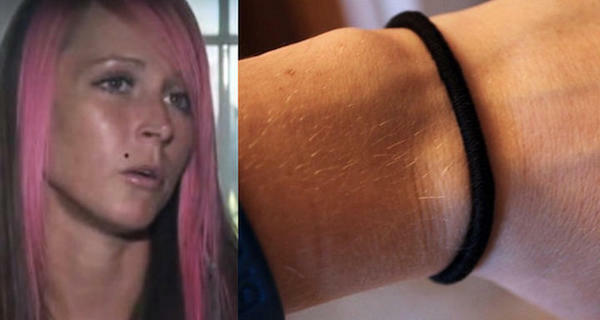 Audree Kopp noticed a red lump on her wrist which began to swell up. First, her doctor gave her antibiotics to treat the growth, but the bump continued to grow. Then, she went to the hospital and underwent emergency surgery. If doctors didn’t notice it on time, she could have had sepsis. Doctors revealed there were three strains of bacteria that are infecting her wrist, so the lumps of pus needed to be drained. The bacteria from the tie got under Audree’s skin through her pores or hair follicles, triggering even three types of infection! Be careful and don’t put your hair ties around the wrist because it can cause skin problems. When bacteria enter your bloodstream, people can even go into a coma and then the body shuts down.